“Why? Why do you hate so much? Why did you teach me to hate? Explosive. Suspenseful. Action-packed. Thrilling. Emotional. Heart-wrenching. This story is so realistic that it is scary because it could actually be happening right now. Readers will be on the edge of their seats from the explosive start to the bloody finish. Set in the midst of the current Arizona-Mexico border crisis, Larson has given us a modern-day Romeo and Juliet love story. Our young lovers are from different sides of the border, literally. Unfortunately, prejudice and politics are against them from all fronts. Their forbidden romance leads to betrayal, revenge and murder. ABOUT THE AUTHOR: Alan A. Larson is a CPA, auditor and financial operations manager. However, his real love is writing. 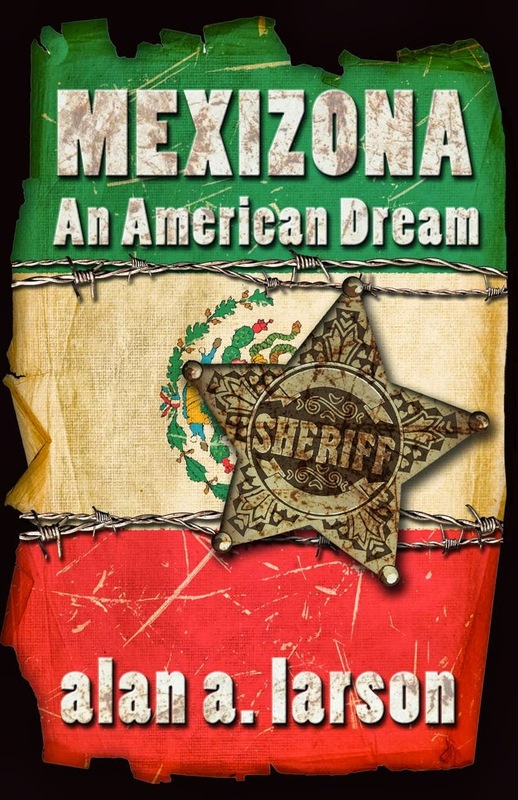 MEXIZONA is his debut novel, though he has been “scribbling” since he was in the sixth grade. Larson has done volunteer work and/or served on local boards for organizations such as the Salvation Army, the United Way, and the United Methodist Church. He is a Katherine Ordway Associate of The Nature Conservancy, a Bush Leadership Fellow, holds an A.A. from North Iowa Area Community College, a B.S. from Minnesota State University, Mankato, and an M.B.A. from Stanford University. For more information about this wonderful new author, visit him at www.alanalarson.com. To read an excerpt from MEXIZONA, click here.